Steve F. Reagin Named Chief Lending Officer and Executive Vice President at Signature Bank of Georgia | Locally owned and operated community headquartered in Sandy Springs, Georgia. Steve Reagin joins the Signature Bank team as EVP and Chief Lending Officer to help implement new growth strategy after successful capital raise. SANDY SPRINGS, Ga., July 16, 2018	(Newswire.com) - ​Signature Bank of Georgia President Freddie Deutsch announces Steve Reagin joins the Signature Bank team as Executive Vice President and Chief Lending Officer. Reagin has nearly 25 years of banking expertise in commercial lending and sales management. 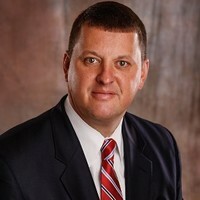 Having worked for both large regional and community bank environments through the years, Reagin began his career with Bank of America in 1994. Most recently he has been a Market President with another high performing community bank. A graduate of the University of Georgia with a BBA in Finance, Reagin is also a 2009 graduate of the LSU School of Banking. As Chief Lending Officer, Reagin will have overall responsibility for the lending function of the bank to include: day to day sales management and client engagement. Reagin will be located in Sandy Springs at 6065 Roswell Road. His email address is sreagin@signaturebankga.com, and his direct dial number is 770.206.5363.